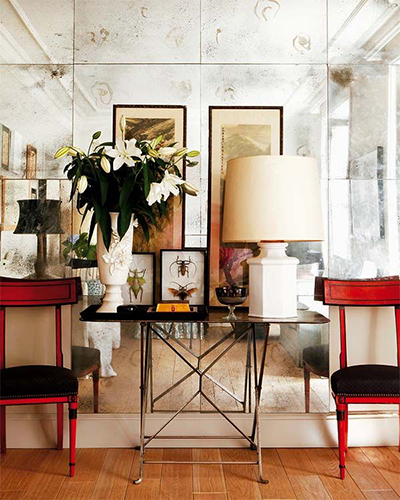 As we begin designing our own line of customizable mirrored tiles and panels, naturally we’ve been obsessing over mirrors in interiors. 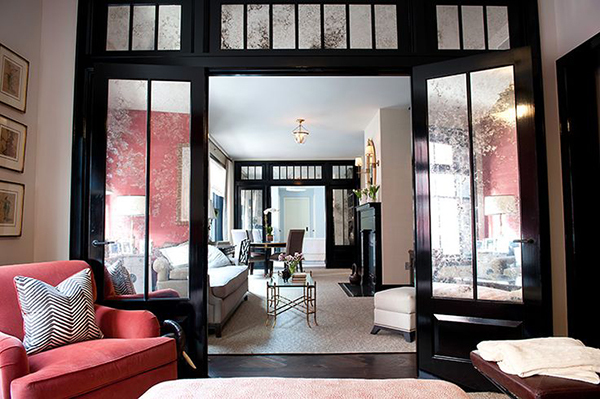 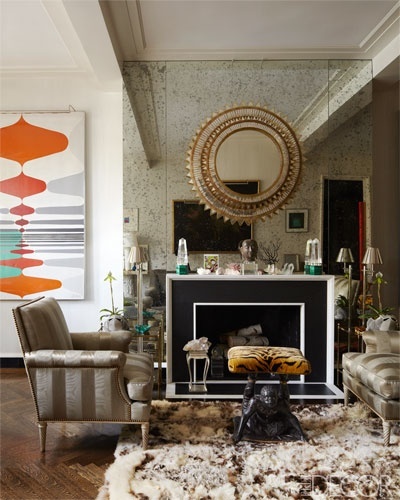 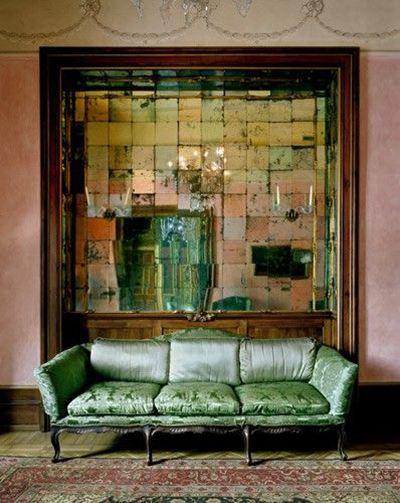 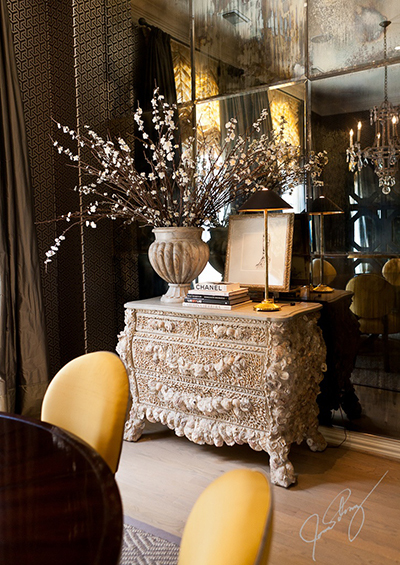 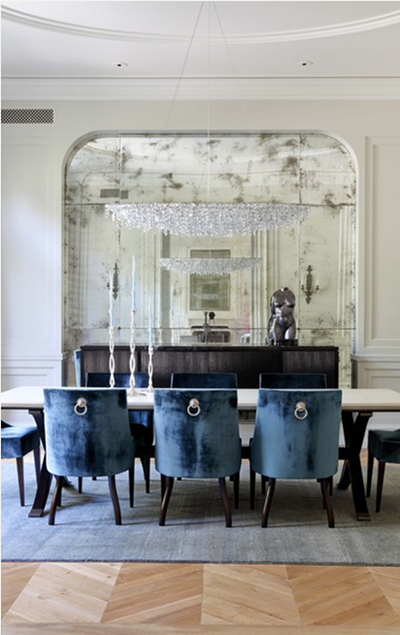 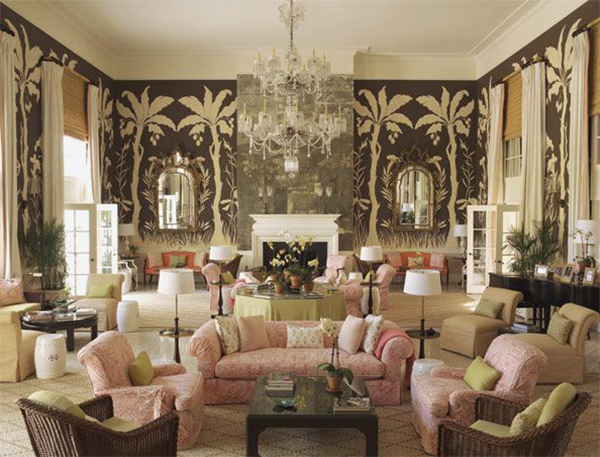 Although we haven’t seen anything like what we are cooking up in the studio, we have been drooling over some stellar examples of interiors with antique mirrored walls by some of our favorite designers. 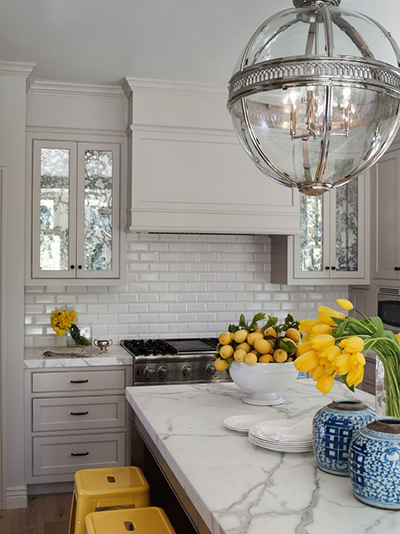 Whether the real old deal or newly minted, antique mirrored tiles add not only undeniable glamour, but also a touch of nostalgia and romance to the equation. 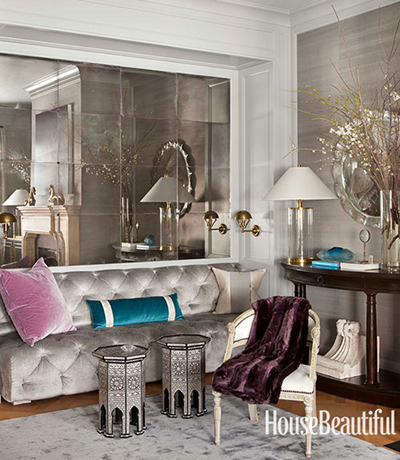 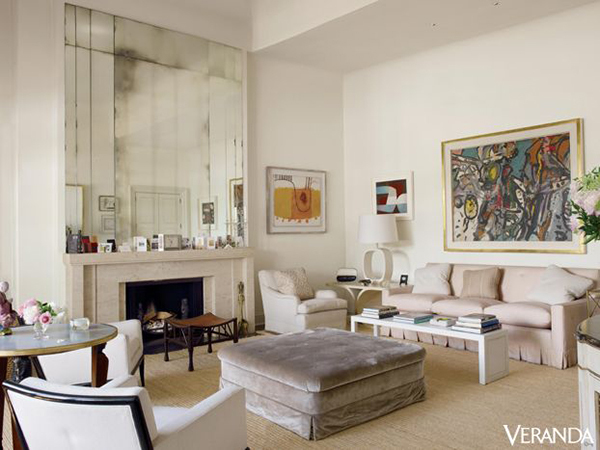 Coupled with the fact that mirrored walls bring light, depth and visual variation to a space, it’s no wonder that this classic decor tactic has made a big come back.